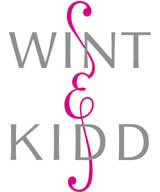 Roundel has developed the corporate identity for newly established, upmarket London jewellery store, Wint & Kidd, which opens this month. The start-up store specialises in rare, polished diamonds for setting in purpose-designed jewellery. It is seeking to position itself as a more accessible, less exclusive concept than the Hatton Garden and New Bond Street purveyors, in an attempt to reach out to a wider audience. Roundel was appointed in November 2002 after an informal pitching process led by Wint & Kidd creative consultant Mark Whelan of Cake Media. According to Whelan, Roundel was selected after demonstrating the ability to translate its initial designs across all media. ‘The logo’s combination of a classic typeface with a shocking pink ampersand captures the quality of the product, together with a modern approach,’ he says. ‘We wanted to bring together the timeless nature of diamonds with a modern, funky concept, but without appearing cheap,’ adds Whelan. Roundel has created the identity, packaging, bags, signage and promotional items for the store, which creative director Mark McConnachie claims are designed to evoke a sense of value and fun. McConnachie says the logo is influenced by fashion designer Matthew Williamson’s interiors for the store, his first foray into the discipline. The stacked silver lettering creates a visual square, intended to mirror Williamson’s white facia and opaque windows, which each feature a square box displaying the jewellery. The store, which officially opens this month, is based in Notting Hill.